An astronaut leaves his scientist wife on earth to embark on a 10 year long solo mission. 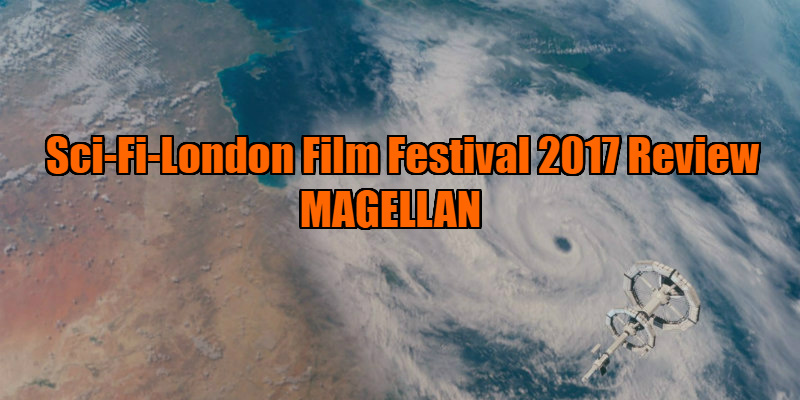 Magellan, directed by Rob York and co-written with Scott Baird, is described by Arrowstorm Entertainment as their first ‘cerebral’ science fiction film, after a series of sci-fi action movies (Survivor, Osombie and Zombie Hunter). The story follows seasoned astronaut Roger Nelson (Brandon Ray Olive), who is charged by NASA with piloting a mission aboard the Magellan spacecraft to investigate a trio of mysterious signals from different locations within our solar system – one each from the moons of Saturn and Neptune and one from a dwarf planet. The mission is estimated to take 10 years to successfully complete. This extended length of time on a solo flight will test Nelson’s skills and his personality, and put a strain on his relationship with Abigail (Whitney Palmer) the NASA scientist wife whom he must leave behind. Being a NASA scientist herself, Abigail understands the importance of his task, but the stress mounts as she is left behind on Earth, enduring long periods of no communication and having to deal with the internal politics of NASA and the press, and public interest in her husband’s possible ‘First Contact’. To complicate matters, the Chinese have also launched a mission to retrieve the sources of the signals, which pits Nelson in a race as to who can get there first. Having to spend time in suspended-animation, Nelson becomes aware of subtle changes that have taken place on Earth during his extended periods of sleep, but the entirety of which his contacts in NASA are clearly unwilling to reveal to him. Information about Abigail and the changing political attitudes towards the mission is released to him piecemeal. Nelson is an efficient and conscientious worker, so, trying to avoid distractions, he concentrates on the matter in hand. However, when he begins to retrieve the extraordinary objects that are the sources of the signals, he finds himself being slowly seduced, and his perspective regarding his orders begins to shift. Making realistic movies set in space on a small budget is always a major challenge, but Magellan manages to deliver a credible portrayal of this mission using few locations and within virtually two small spaces on Nelson’s craft. Much of the credit of keeping the audience’s attention must go to what is, for much of the film, virtually a solo performance by Brandon Ray Olive as Nelson, (possibly best noted for appearances in in TV shows such as CSI: NY and NCIS). His performance carries the movie. Initially he is a dedicated NASA astronaut who, because of his lengthy isolation from Earth, begins to re-evaluate the relationships that he leaves behind on Earth, and experience subtle changes in his own attitude due to the life-changing discovery that he has made. 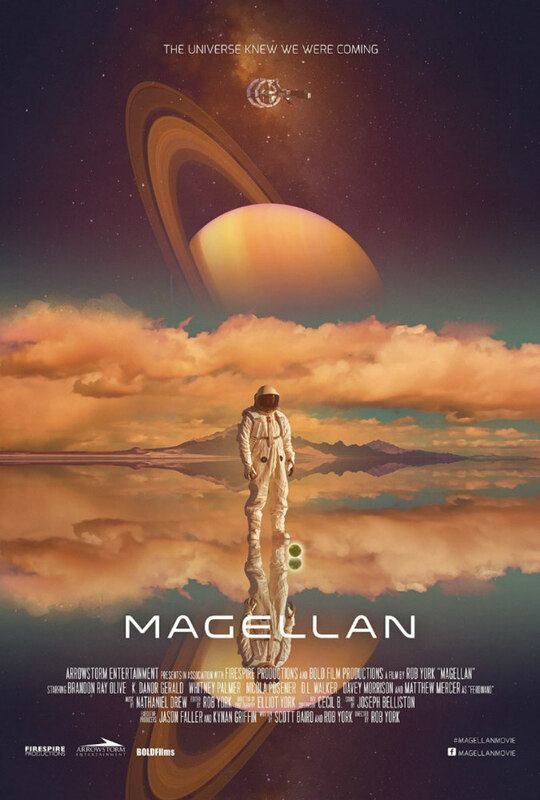 Magellan does deliver an engrossing high-concept science fiction story with an engaging central performance. My only reservations were regarding certain loose ends which were left unsatisfyingly hanging. The viewer is left as mystified as Nelson regarding the apparently ominous messages from Earth that he receives as his mission unfolds. We are never told what the problems are or what really has been going on with wife Abigail. Furthermore, for me at least, the denouement presents rather an anti-climax, which does not answer any of the questions regarding the ‘First Contact’ that were intriguing me, but rather seems to imply a sequel. Well, maybe I would – at least as far as the Cineplex.